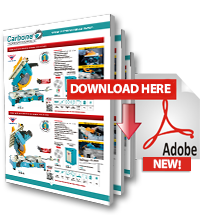 Carbone Costa Rica presents its line of aluminum and PVC machines of European quality and all consumables in Costa Rica. The KM 212 portable end milling machine includes 2 Manual Clamps (1 vertical, 1 horizontal), adjustable depth gauge, fully closed cap and 800W / 3000 RPM motor. It is ideal for the final cut. Includes single-phase 220V / 60hz plug. 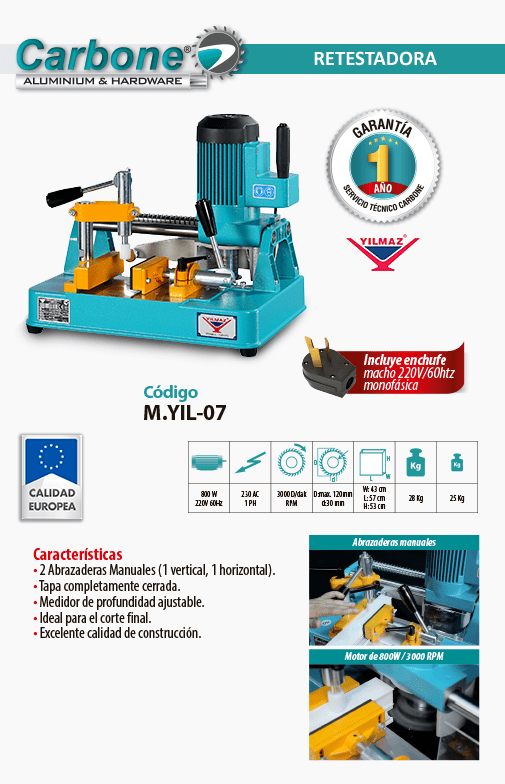 Carbone Costa Rica we present our new line of aluminum and PVC machines of European quality, you can find a great variety of machinery, like the KM 212 portable end milling machine.